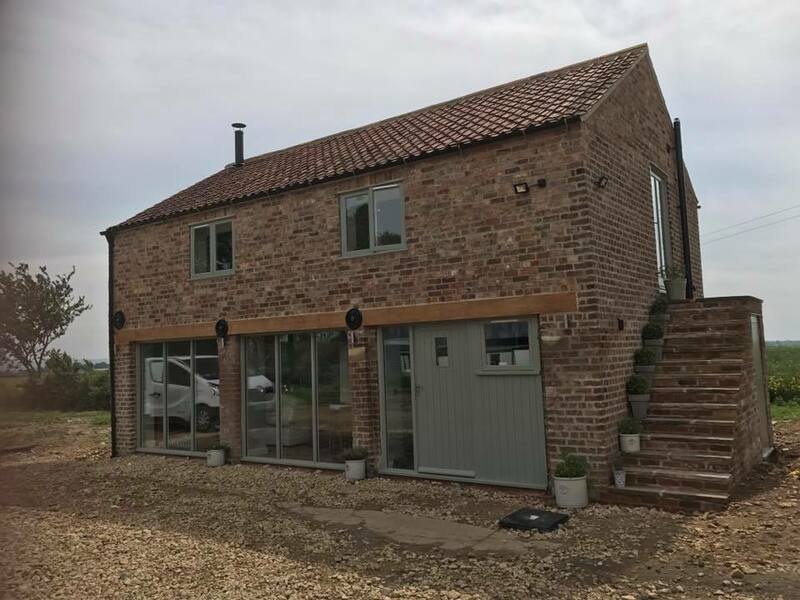 Working under the restrictions that come with a listed building , we fully renovated this barn that was in a very poor condition . It would of been easier to knock down and re build rather than to renovate, however the challenge was set. 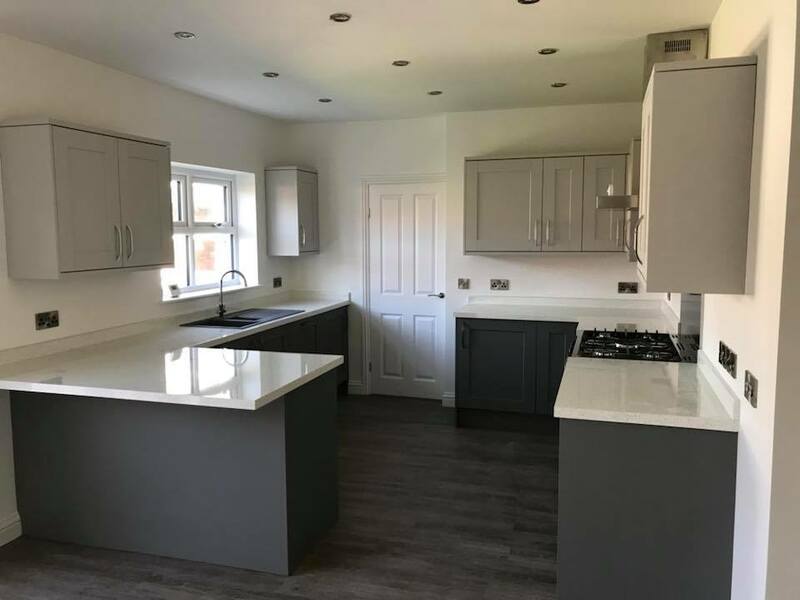 From stripping the building back, under pinning it then completing the full re build, to the installation of two bathrooms, a kitchen , a wood burning stove and under floor heating. 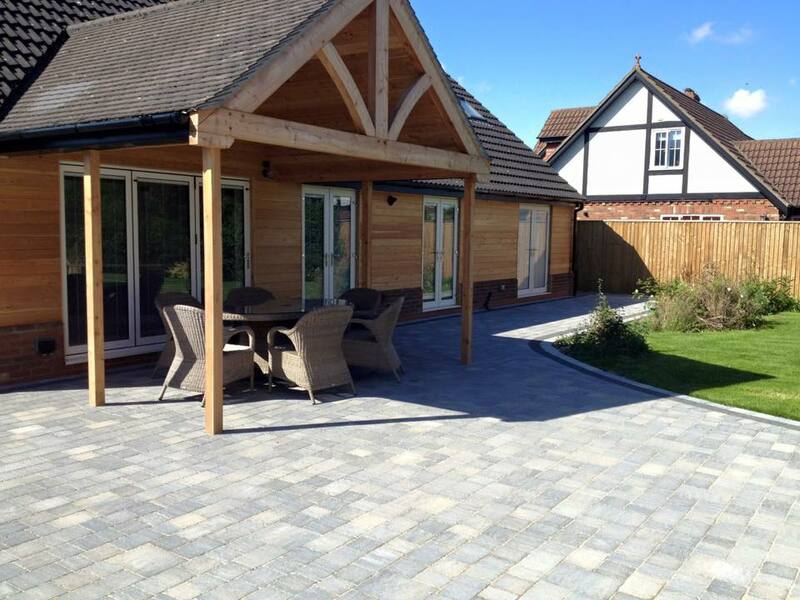 The finished project was fantastic to see especially with what we initially had to work with. 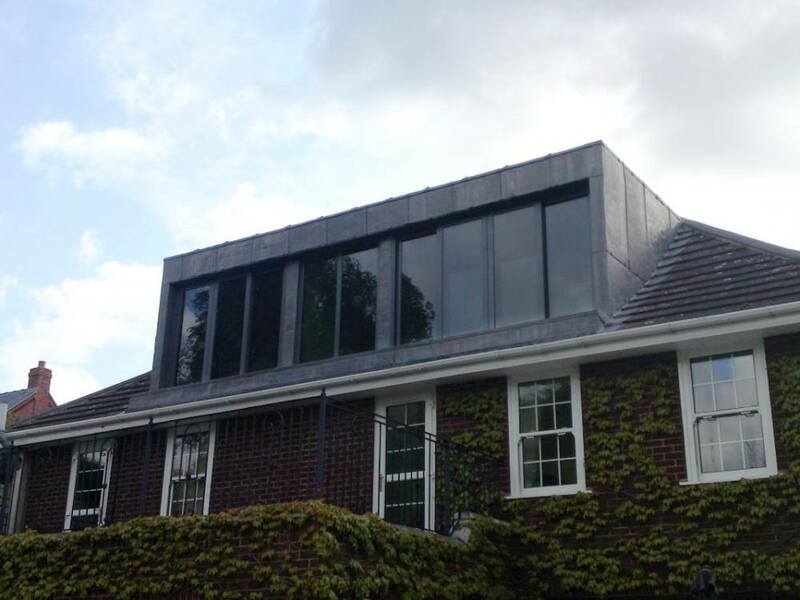 After an enquiry from a local architect we were commissioned to undertake these works on behalf of the client. 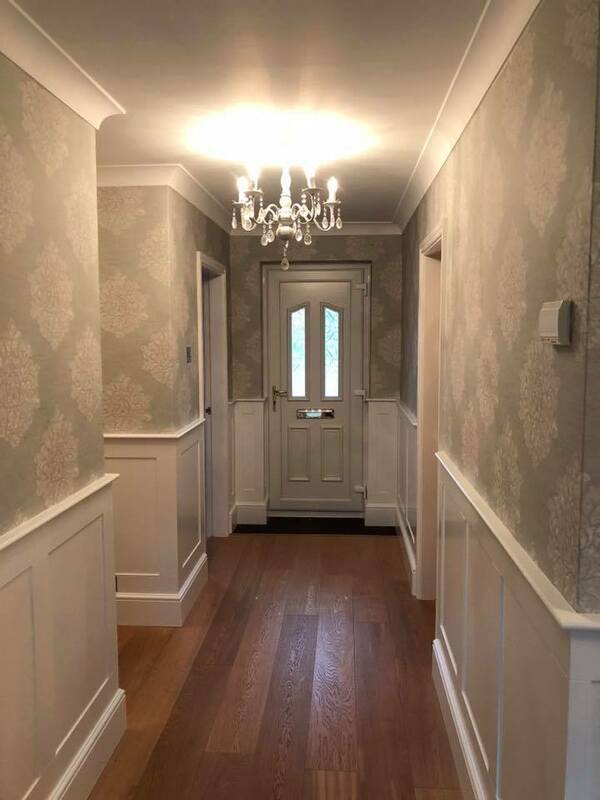 We worked closely with them to achieve the end result which shows off their good taste and our high standard finishing. Still one of my favourite projects. Working with an existing client to knock three rooms into one open modern living space. 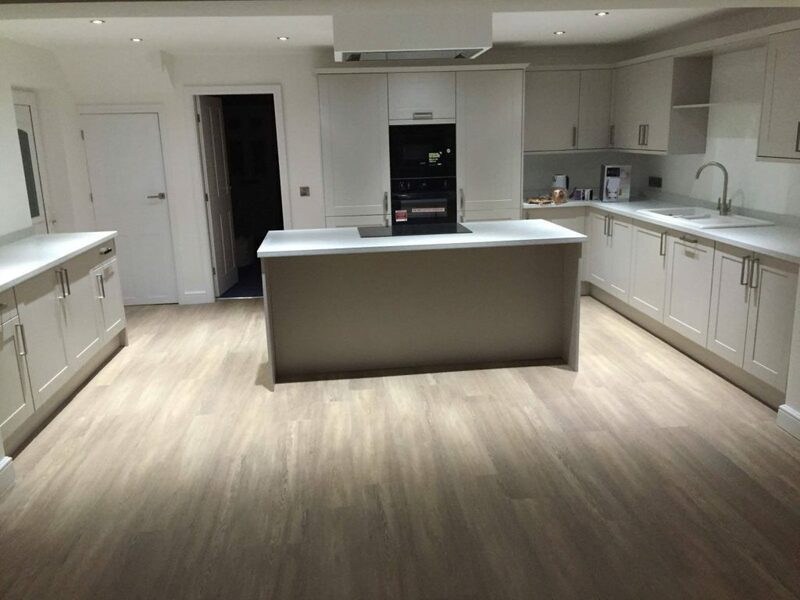 The client was very precise about what he wanted to achieve. They were both extremely happy with the outcome and we have now done further work for them at their new property. We were recommended to this client by three different parties. We extended the existing bungalow and modified and updated the original layout. 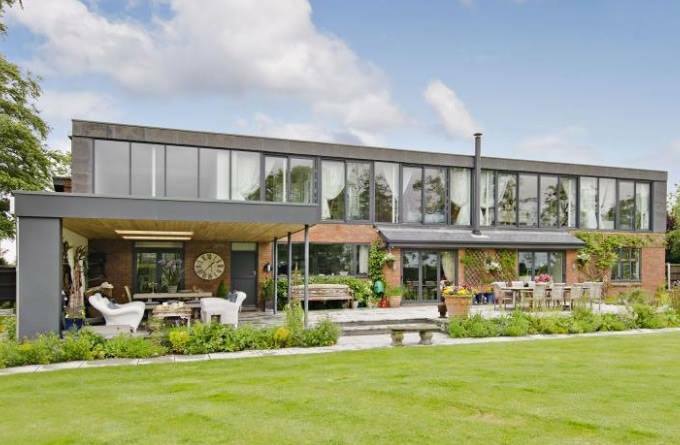 The main part of the works formed an area of 70m2 with vaulted ceiling and bi fold doors/windows. The space created on open plan area encompassing kitchen , office area , dinning area and lounge. Again under floor heating and a wood burning stove were fitted . A fantastic end result. By the time this job is finished they will be only two rooms that haven’t been affected by the works. 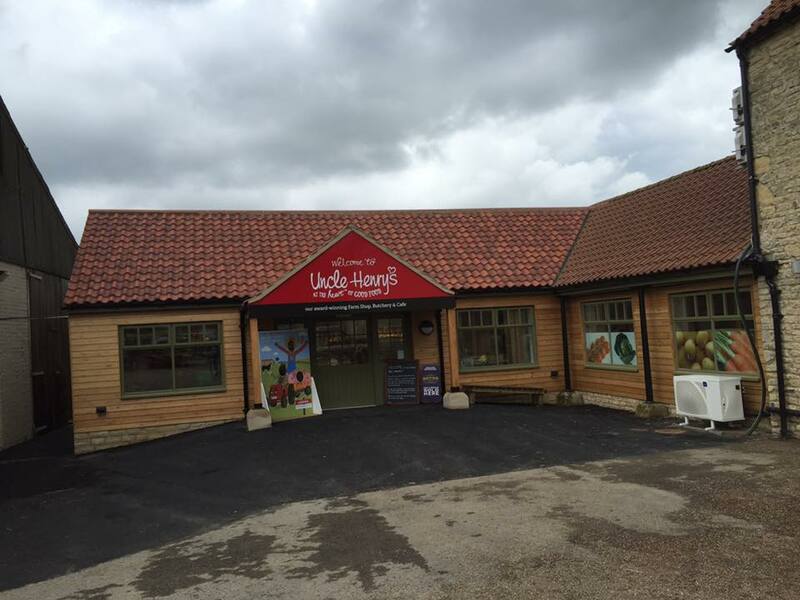 Having previously completed a cottage conversion into two flats for this customer we were invited to tender for an extension to a farm shop . 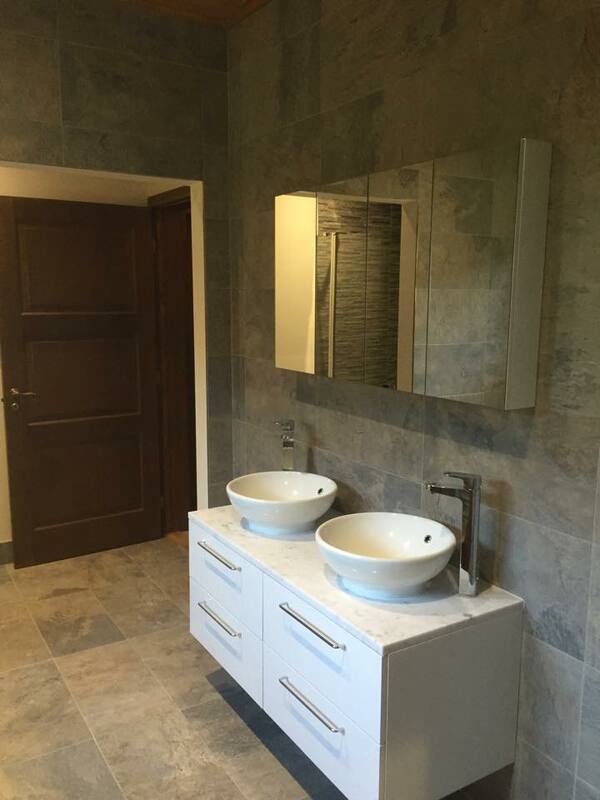 We are pleased to say that we were successful and carried out the works within time and under budget. Since this time we have under taken further work with this client and look forward to working together again in the future. 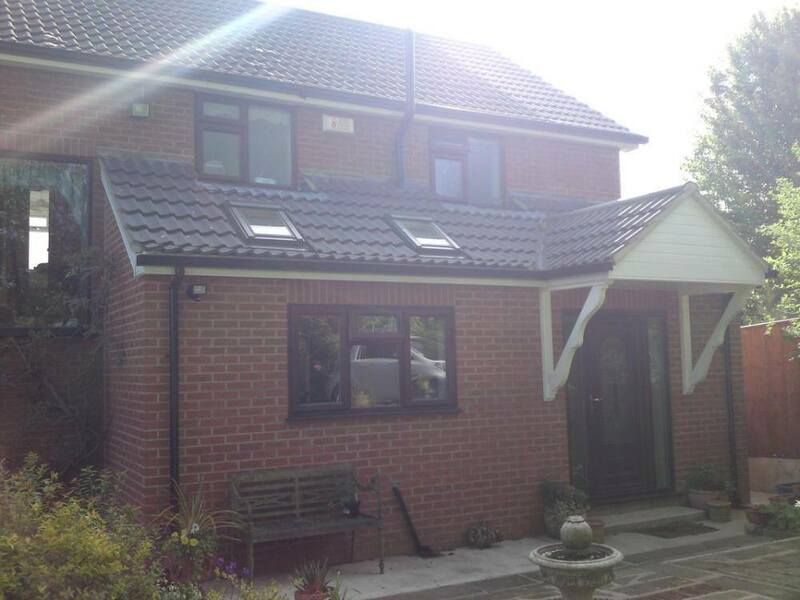 A standard loft conversion that gave the customer two extra bedrooms. 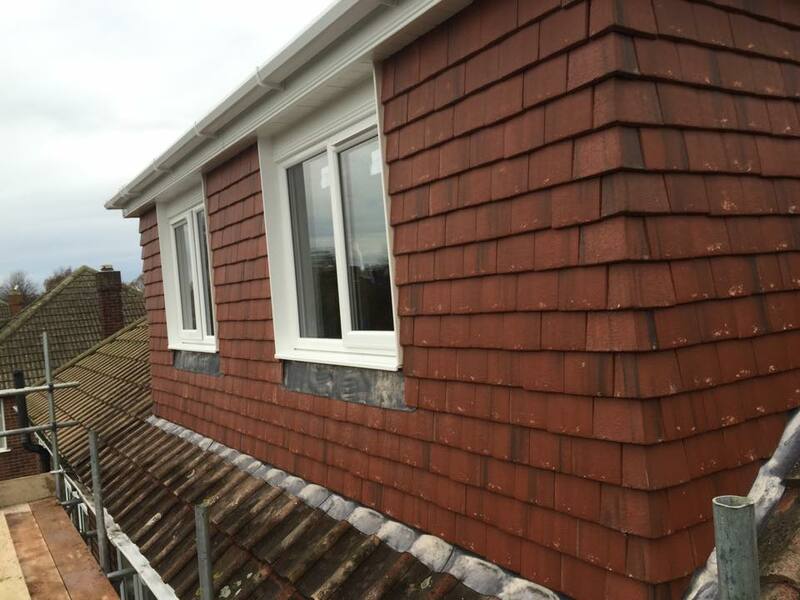 We turned a hipped roof into a gable ended one with a built out dormer too create the extra floor space within. We have worked for and on behalf of this family many times. 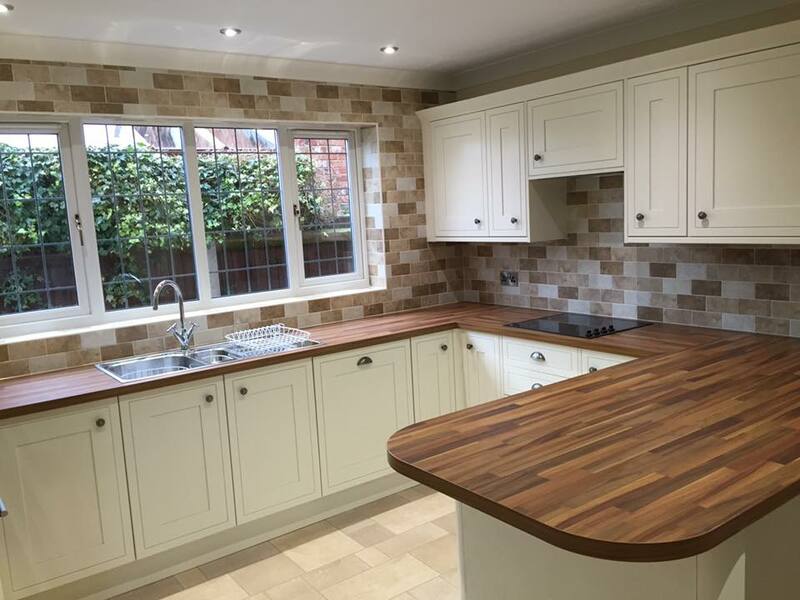 We undertook this full house re-furb whilst the client remained living in. The canopy that you see in the picture was in fact the old upvc conservatory . 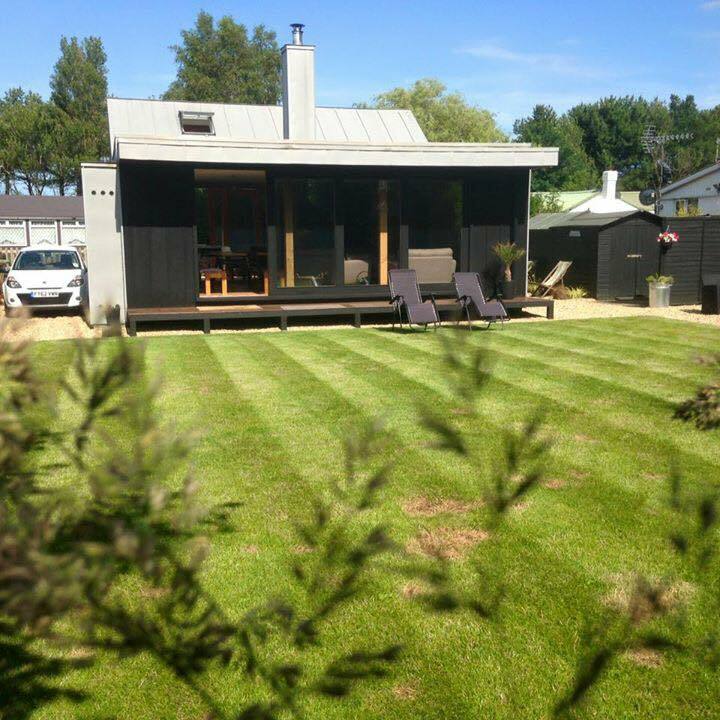 The larch cladding and open truss with cream windows make for a great effect. One of my favourite projects. A straight forward in and out kitchen replacement involving new flooring and wall tiling. 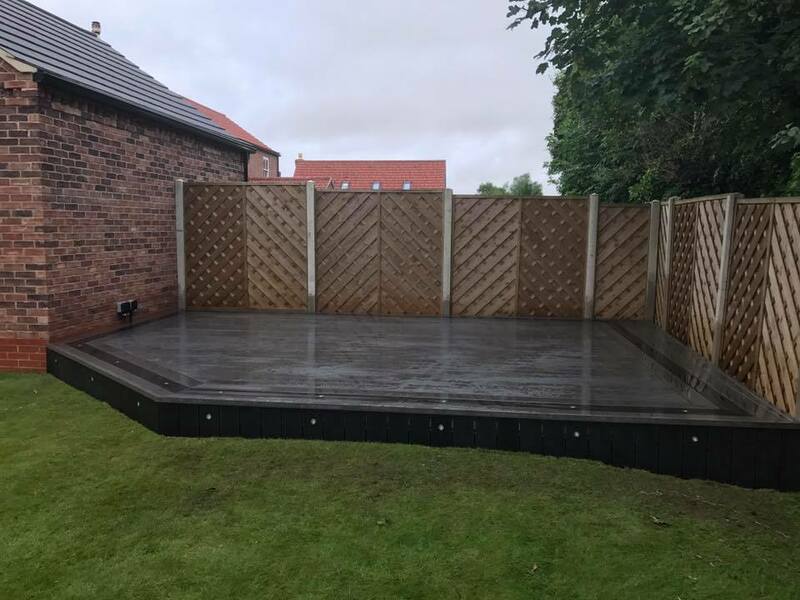 This was carried out from start to finish within about 6 days for a very lovely lady who we have since done further works for . 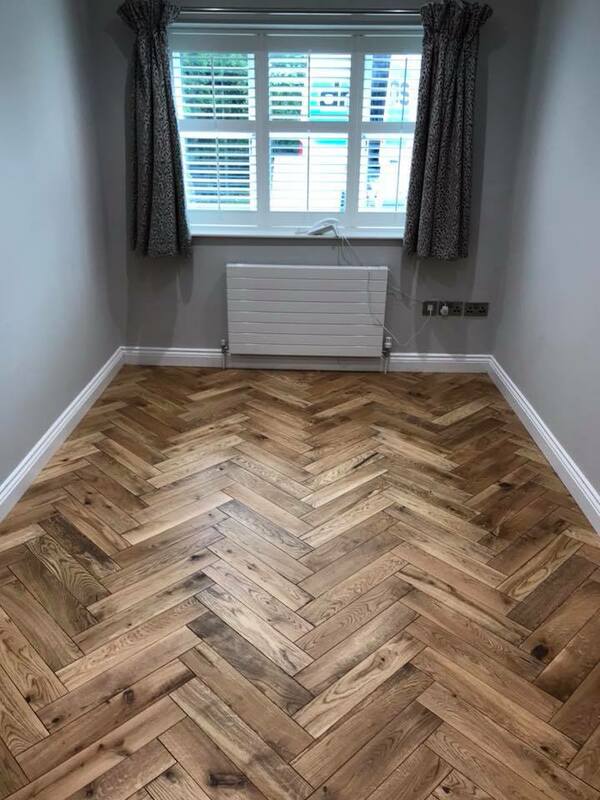 This is a great example of the flooring that we can undertake. We converted this garage into a study and fitted the floor throughout the front of the downstairs area. 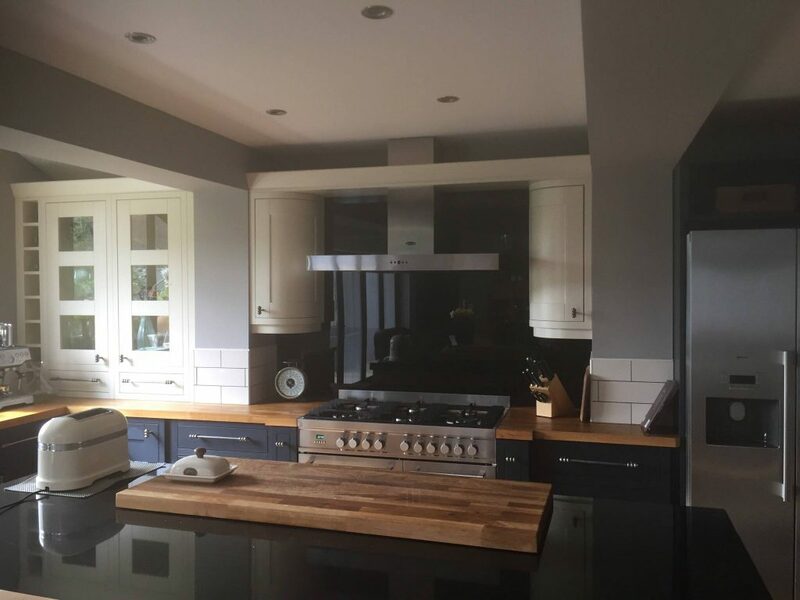 We now have a large extension and kitchen refurb to undertake for this particular customer. We were contacted by a couple from Essex looking to move back to the area after 30yrs away. We were recommended to them by our electrician who had seen them initially about a re-wire. 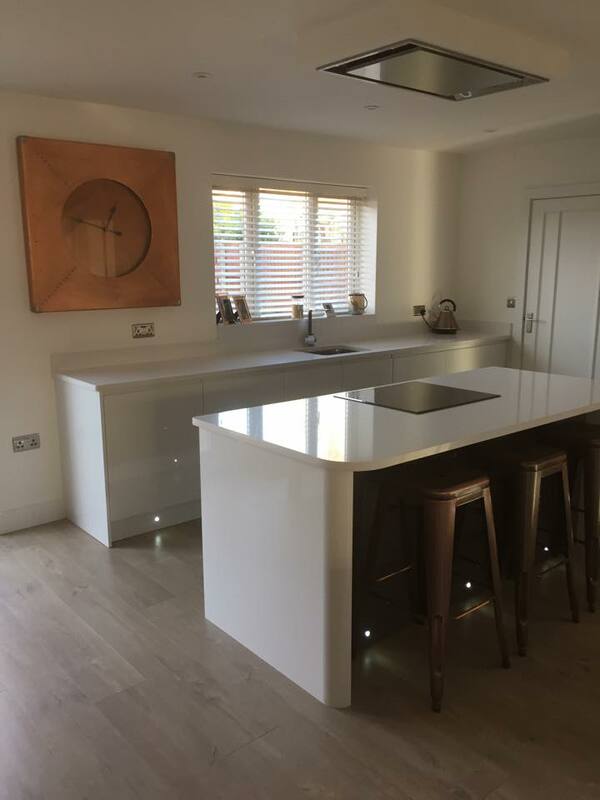 All the works were sorted via email and telephone and we only met with the customer twice whilst the project was in progress. Considering the distance between the client and ourselves it couldn’t have gone any better. Again a very happy customer and we are looking forward to working with them again in the near future . This client was actually my insurance broker . 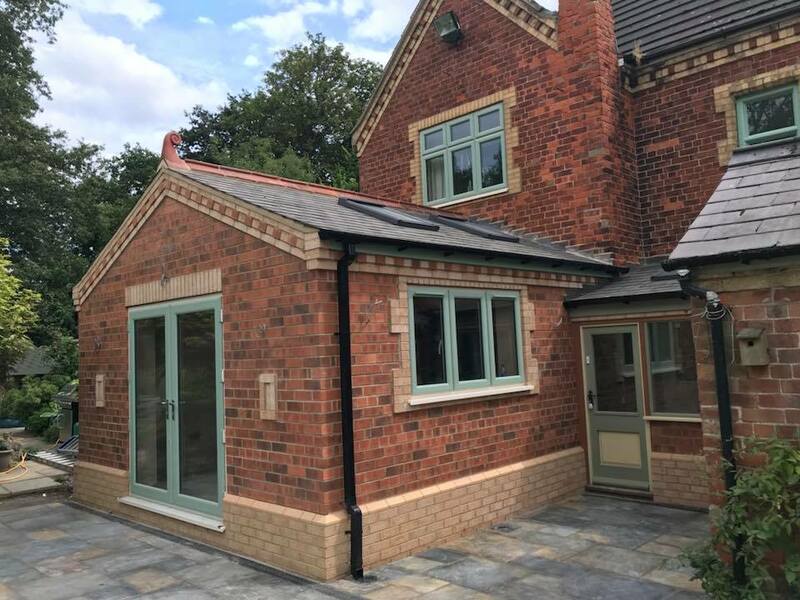 We formed a new extension and knocked two existing rooms into one and then knocked through into the new extension forming a large living space. 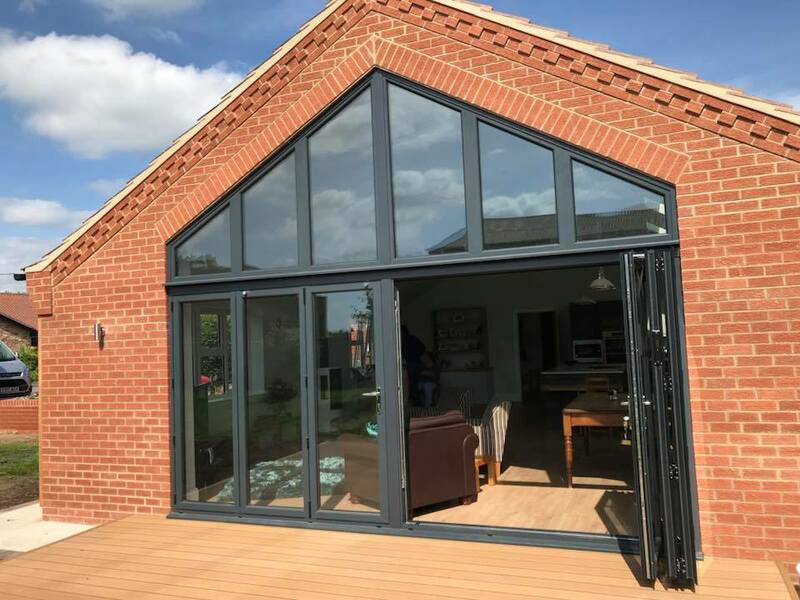 The works included under floor heating, a new kitchen, amtico flooring and super slider patio doors. Done for a friend of mine, they were complaining that the room was too hot in summer and too cold in winter. 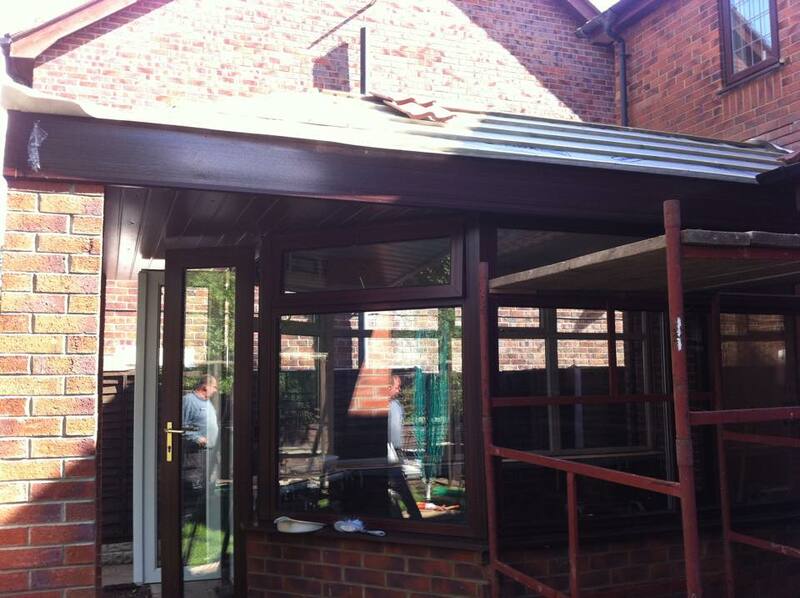 We replaced the old Perspex roof with a timber and tiled one by building two brick pillars to support the extra weight. Effectively “putting a hat on it”. With the added insulation in the roof and on the walls it is now a cosy all year round room. A relatively simple job for us but very effective. The pictures show what’s involved with the build process . By installing led lighting and creating a border it gave a different effect. A very satisfied customer. All though not large in size the project proved to be quite a challenge . The existing property is over 100 yrs old so to match to the original wasn’t easy. We had obstacles to over come throughout the works but the end product looks a treat . 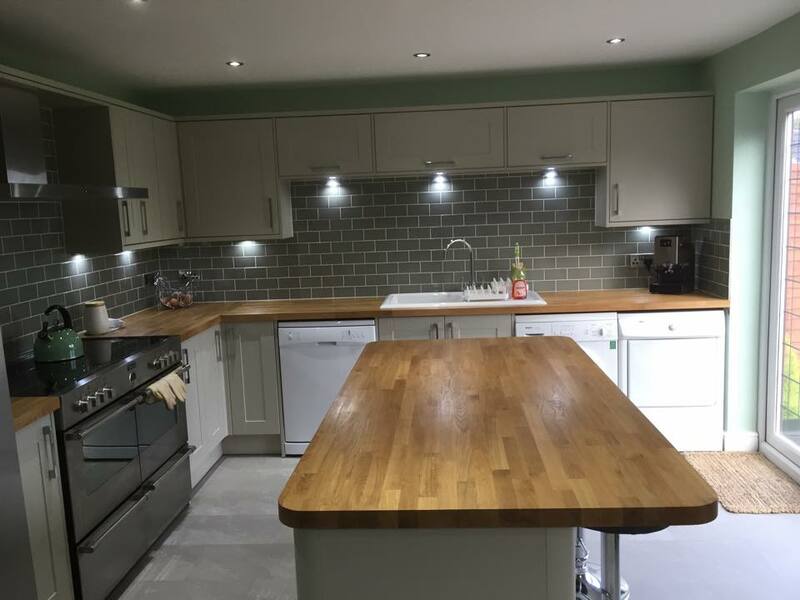 Having initially created a new kitchen space for this customer by knocking the kitchen and diner into one , we were then asked to bring their bathroom up to date. A lovely couple to work for and they were very pleased with the end product.